The Sister Circle Book Club is as busy as ever, just look at the list of books we have read together I was thinking about the saying, ‘One man’s trash is another man’s treasure’ and I realized that this can apply to books also. Some books become one person’s treasure – I loved it, I liked it – it inspired me etc. Whereas another book is someone else’s trash – I disliked it, the story was too sad, I got mad reading it especially when…etc. Our meetings encourage everyone to share their opinion whether positive or negative. Whatever the opinion, these books all reflect aspects of Christian life and can be used to encourage, disciple and reach others. 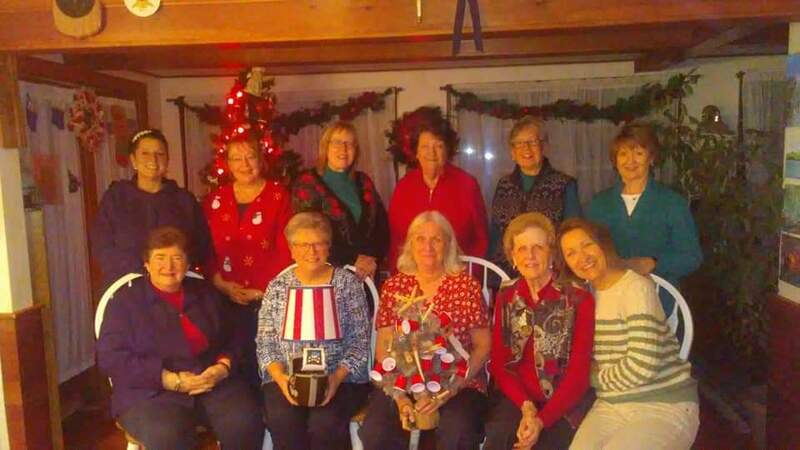 Many of the ladies in the book club share the books with their work mates, family and friends. As always, the group is open and welcoming to new visitors, whom we hope will enticed to stay. We want to see our group grow, so come on and check us out! Joanne. 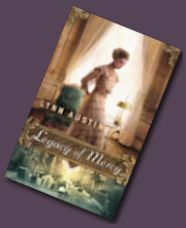 For the month of April the ladies are reading "Legacy of Mercy" by Lynn Austin. We will meet to discuss this book on Monday, May 6 at 7:00 pm in the Library of the Office Building. Hope to see you there. We want our little circle to grow! Having returned to Chicago, young socialite Anna Nicholson can't seem to focus on her upcoming marriage. The new information she's learned about her birth mother continues to pull at her, and she hires Pinkerton detectives to help her find the truth. But as she meets people who once knew her mother and hears stories about the past, Anna soon discovers that some secrets are better left hidden. At the same time, unflattering stories about Anna are leaked by someone who would love to see her disgraced and her engagement broken. And as Anna tries to share her faith with her society friends, she understands that her choice to seek God's purpose for her life isn't as simple as she had hoped. When things are at their darkest, Anna knows she can turn to her grandmother, Geesje de Jonge, back in Holland, Michigan. Geesje's been helping new Dutch immigrants, including a teen with a haunted past, adjust to America. She only hopes that her wisdom can help all these young people through the turmoil they face. Lynn Austin has sold more than 1.5 million copies of her books worldwide. A former teacher who now writes and speaks full-time, she has won eight Christy Awards for her historical fiction. One of those novels, Hidden Places, has also been made into a Hallmark Channel movie. Lynn and her husband have raised three children and make their home in western Michigan. Learn more at www.lynnaustin.org. When you walk through the doors at South Attleboro Assembly of God, our hope is that you feel like you’re a part of the community. Our ultimate desire, as a body of devoted followers of Jesus, is to create an environment where people can experience the presence of God in a life-transforming way.